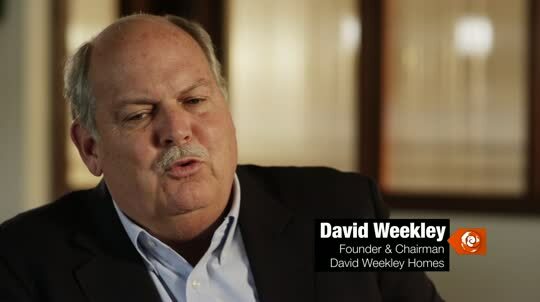 David Weekley, Founder & Chairman of David Weekley Homes shares the struggles and victories of his very successful homebuilding company. He uses his faith and God-given skills and gives 50% of his income and 50% of his time for Kingdom endeavors. Even a Terminator can't stop God's plan.